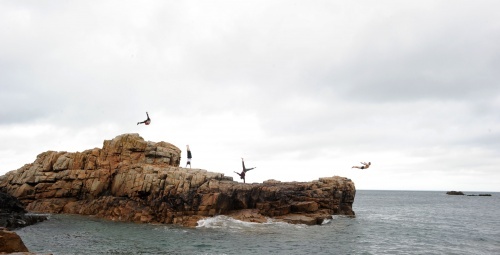 More than just a scenery, the coastline of Brittany becomes a true showcase for about forty artists rising to the challenge of Cirque & Mer’s first event. 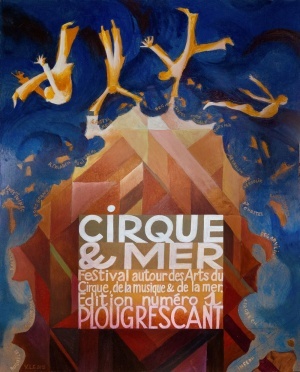 After a successful trial edition in 2015, this year’s event consists in reinventing the connections between the earth and the Channel, the artists and the maritime people, through circus arts, music, poetry and visual arts. How to approach the vastness and power of Plougrescant peninsula? A programme of performances, concerts, exhibitions and lots of other attractions will enable you to discover in a different way the breathtaking coastline alternating with majestic rocks and sandy or pebble beaches. In 2016, Cirque & Mer was: a briton bowling balls contest, circus inspired strolls, concerts, workshops, on-the-place creations.. and a lot of new friends ! It started on Sunday, August the 30th with a bowls contest, circus show, parent-child acrobatics workshops, introduction to climbing. The week after was dedicated to experimentation: research, tests, circus creations, music and tinkering on the seashore. Presentation of the work in progress was on Friday, September 4th at 7pm, this will be followed by a concert with Pavan Takin and fireworks provided by the city council of Plougrescant.